One and the same screen for all your communication and contact applications, with phone keypad, call or message recorder, and caller ID. New: automatic call recorder, number presentation and identification of incoming and outgoing calls (blocking unwanted calls), and audio messages. As well as the walkie-talkie option! 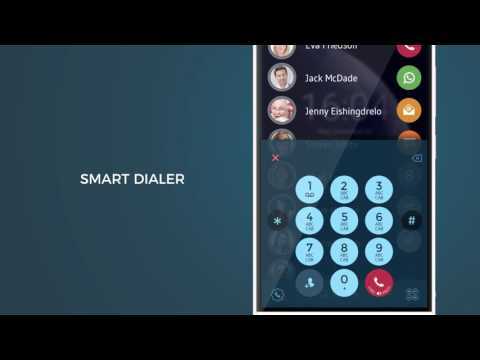 + Caller ID to track and block unwanted calls. Find and find out who owns unknown or private numbers, and add them to your blacklist: know who's calling you, even for missed calls from unknown or private numbers . + Organize your directory / directory - no more duplicates in your Google contacts. + All-in-One - All Phone Apps, WhatsApp, SMS, Google Duo and Allo, Walkie Talkie, Facebook Messenger, etc. are included and there are plenty of others. + History in one place - Find all your recent calls: calls, SMS, walkie-talkie, audio messages, WhatsApp, Facebook Messenger and more.